Of the five finalists, 4 answered the liberal dog whistle and regurgitated the equivalent to the MSNBC daily talking points. Little wonder that the winner was Cara Mundi of North Dakota who apparently read from the Climate Change Cultist manifesto before taking the stage slammed the decision to leave the Paris Accords despite the lack of evidence that the economic cost that the US would front would do ANYTHING to change the climate for the better. But this article isn’t about Climate Change, or the liberal rigged system of the Miss America contest or even the Miss America contest itself. It’s about a woman who would fearlessly answer whatever garbage question that the progressive swamp threw at her, whose talent could very well be target shooting, whose poise and affability would make her a great Miss USA because apparently Miss America is now a domain for swamp monsters. I refer to, if the title didn’t all ready give it away, Texan gunslinger Antonia Okafor who is striving to become the next Miss Texas USA. I had the pleasure of meeting Antonia this summer when we met up in New Jersey to take Joy Villa out to the gun range for her first time shooting. (That article will be coming once video editing is done). Antonia Okafor is beautiful, well spoken, talented intelligent and friendly. If there are more things that a future Miss USA needs to be I don’t know them. Antonia is also tough as nails and a lover of both this country and the 2nd Amendment that protects the liberties and freedoms we enjoy. Being a certified Safety Range Instructor and NRA up and comer, her 2nd Amendment bona fides are legit. One of the things that is most striking about Antonia Okafor is that she is genuine. She does not test the air to see which way the political winds are blowing, she does not bend to pressure by others who say she must be and act like this or that. 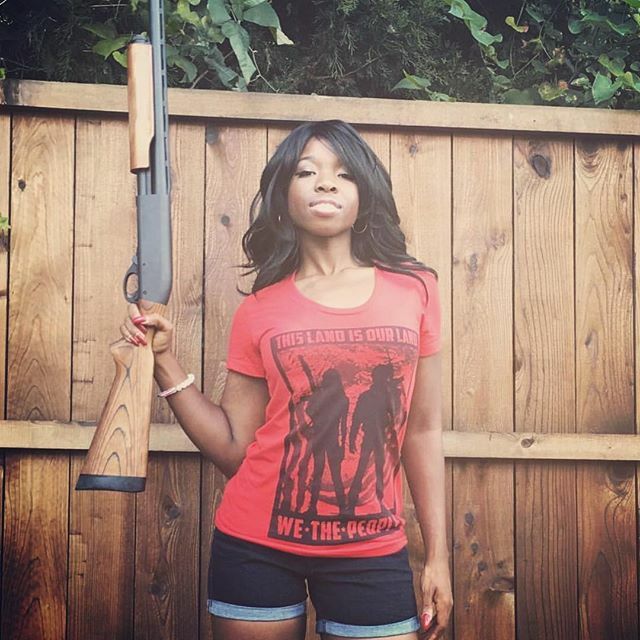 In this day and age with so much hatred and bigotry coming from the vile progressive left it is not an easy storm to weather for a black woman being a pro gun, pro Trump, conservative from Texas. Speaking of Texas, that is exactly who Antonia wants to represent in next years Miss USA competition. 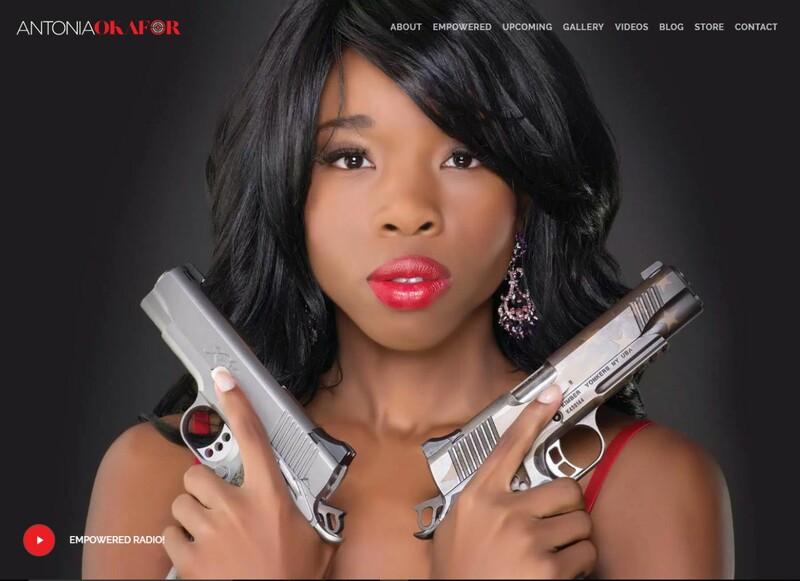 She would be an important counterpoint to this years Miss Texas who spent her time bashing the President as a white supremacist in order to succor favor from the liberal judges at the Miss America contest, Antonia Okafor would refuse to kow tow to such progressive pressure and represent herself and the people of Texas in the proud tradition of the Lone Star state, because sometimes, one person with conviction IS the majority. Being a 30 something year old guy I didn’t realize that pageants cost a LOT of money. Nearly $10,000 if you are going to make a serious run at winning. That is why Antonia has created a gofundme page, hoping to get the support she needs to metaphorically pistol whip the progressive oligarchy that seems to have taken over the pageant world. No doubt deep progressive pockets of the likes of George Soros are trying to skew everything in America left, including beauty pageants. In order to take a stand against such machinations the silent majority of Americans who love this country and the freedom and liberty it represents need to murmur just a little. Because a little each from a lot of people becomes a roar very quickly. I am also taking sponsorships if you would like your business to be included in the official Miss Texas USA program. Your business would be advertised to a sold out crowd in the biggest pageant system in the world, Miss Universe. Not to mention a system once owned by President Trump himself. So I ask that you consider lending your aid to Antoinia Okafor if you are able. And here’s a little fun tidbit that I enjoy thinking about. If Antonia wins through to Miss USA she then competes worldwide for the Miss Universe title. An unapologetic, gunslinger Trump supporter on the world stage?